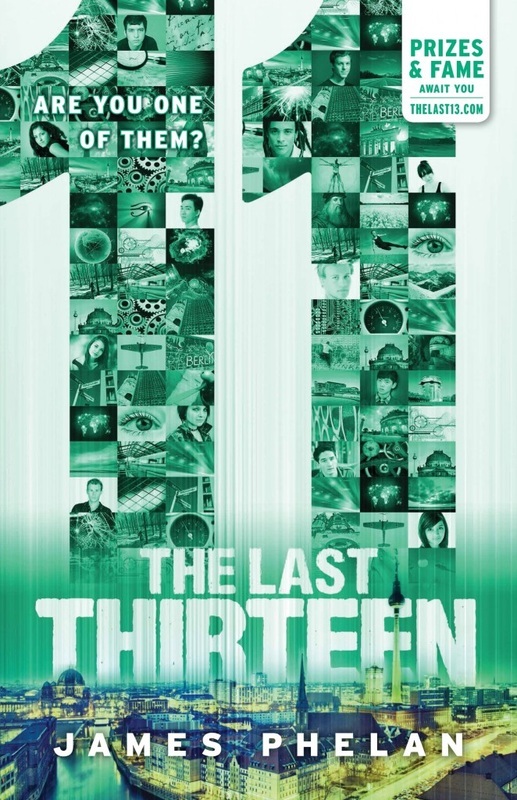 THE LAST THIRTEEN is a 13-part serialised thriller series for young readers (aimed at ages 8-15) and counts down from 13 to 1... this book, "11", is the 3rd book in the series. Sam’s deepest fears have become real and his enemies grow ever-more powerful. Struggling to stay one step ahead, Sam must locate 11 more Dreamers and solve the next piece of the puzzle. Can Sam and his allies unlock the secrets of an ancient journal to reveal their final destiny? Sam is far from home, with the fate of the entire world in his hands. He must find the last 13. The race is on. ‘Pull over! Now!’ yelled the Guardian hanging out the van in front of Sam, a dart pistol aimed squarely at his head. From the van on his left, someone fired a dart which glanced off the fuel tank of the scooter and Sam swerved wildly. ‘OK, OK!’ Sam shouted at his attackers. He eased off the Vespa’s throttle and began to slow down. So much for my rescue party . . . what do I do now? Through the open doors of the van ahead, Sam could see it was loaded with men. To his left, the same. Sam guessed he was outnumbered at least ten to one. The Guardians, guns raised, all wore the uniform of the German Guard, the wolf insignia emblazoned shamelessly on their shoulders. As the scooter puttered along the deserted road, Sam could tell the leader was growing impatient. The Guardian tilted his head towards his pistol, his grey eyes unblinking. The gesture was clear: pull over—now—or get shot. ￼￼￼￼stunned when they pull out weapons . . .
Whatever you do, don’t let them get you into the van. Sam looked around at the farms that stretched out in both directions as far as he could see in the pale light of daybreak. There was a forest up ahead, marked by a wall of tall pines with the road punching a shadowy path through the middle. Sam continued his charade of trying to work out how to stop, knowing that at any moment they’d make him stop, with or without the scooter. Wait, is that . . ? Ahead, beyond the van in front, on the road that wound around into the trees, Sam could see the dim lights of an approaching vehicle. It was a truck, a big one, heading their way. Sam gave the engine a little boost and then kicked the gear lever into neutral to give the impression that he was trying to come to a complete stop. The scooter coughed unhappily at the rough handling. The leading van sped up to increase its distance in front of Sam, then came to a halt further down the road. Two of the German Guardians piled out, dart pistols still aimed at Sam. Sam slowly squeezed the rear brake of the scooter. It was now travelling as slow as it would go before becoming unstable and threatening to tip. Even though the experience of riding bikes with his friend Bill was a long time ago, it was helping Sam have enough control of the scooter to pretend to be in trouble now. All those afternoons playing chicken with Bill’s uncle’s tractor were paying off. Playing chicken . . .
Sam looked across the empty road. About two metres down a steep embankment, a wire fence surrounding a farm was just visible in the soft light. Sam could see the oncoming truck clearly now, it was just a few seconds away from him. Do it—go for it, Sam! In the blink of an eye, Sam slammed into second gear, revved the engine and dropped the clutch. The ambling scooter burst into life, shooting forwards and to the left, swerving back into the middle of the road. Sam squeezed his eyes tight as he shot across the road in the tiny gap between the van behind and the huge truck roaring straight towards him. Its lights flashed and the horn blared loudly, the rush of air from the speeding truck almost knocking Sam off the scooter. Blood pounding in his ears and adrenalin pumping, Sam threw a look over his shoulder and saw that both vans had taken off in hot pursuit after his surprise manoeuvre. He surged ahead, towards the sloped gravel embankment on the other side of the road, when behind him . . .
Sam risked another glance to see that one van had clipped the truck’s semitrailer and had been violently twisted around on its side. Sam skidded to a halt to watch as the mess of metal and glass rolled and flipped, an unstoppable mechanical snowball that seemed to gather speed before ploughing into the second van. The impact propelled the vans through the air, before hitting the ground hard and shuddering to a stop on their sides. Sam heard the ear-piercing screech of the truck’s brakes, could smell the burning rubber of tyres locking hard. There was no movement from inside the vans. Sam egged the scooter on, willing himself away from the danger and destruction behind him. The Vespa’s engine redlined, revving as hard as it would go as he fumbled to find the right gear, the throttle fully open, picking up more speed down the embankment. He hit a bump, turning his rapid downwards momentum into full flight. He had expected to navigate through a gate or gap in the fence. But instead, Sam found himself flying through the air at speed, headed for the waist-high wire fence. He cringed, held on tight and hoped for the best. goat that looked up stunned, staring into Sam’s eyes as he shot past. Sam looked over his shoulder one last time. The vans were now an eerie mess of lights and steam. He could make out the tiny silhouette of the truck driver, standing with his hands on his head. An approaching car was slowing to a stop. Sam continued onwards, the going easier on the flat ground, heading for the cover of the dark forest ahead. He soon found the fence on the other side of the paddock. He followed its length until he came to an open gate. In the forest, the ground was flat but blanketed in old pine needles and the scooter skittered wildly as Sam slowly navigated a way through the trees. His heart rate slowed a little, his head swimming with the shock of what had just happened. Why were they trying to kidnap me? First the Egyptian Guardians, now these guys? Man, what about the others? Is everyone else safe? Sam rode on under the protection of the dense forest for a while. He kept the road that cut through the trees in his sights, waiting to join it again a few kilometres down the track when he was sure he was safe. It was harder going here, the tyres losing traction on the spongy forest floor, the canopy of the trees above shutting out the glare of the rising sun. Sam was grateful that the physical effort of keeping the scooter upright gave him little time to dwell on his narrow escape. Without warning, a low-lying tree branch seemed to materialise out of nowhere, whipping into his face and knocking him clean off the bike. He was flat on his back, groaning, the feathery tops of the pine trees above him spinning in circles in the sky . . .